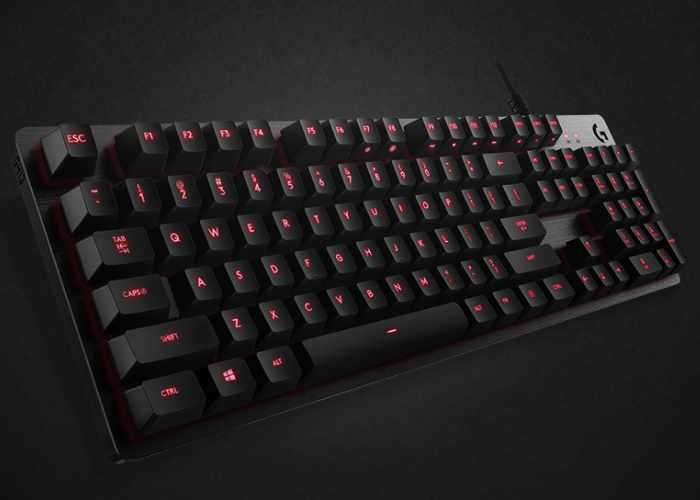 Logitech has this week unveiled a new addition to its range of mechanical gaming keyboards with the announcement of the imminent availability of the new Logitech G413. The Logitech G413 comes in two versions, the Logitech G413 Carbon featuring elemental red backlighting and the Logitech G413 Silver both available this month. The Logitech G413 Silver Mechanical Backlit Gaming Keyboard is expected to be available exclusively at Best Buy. Logitech’s exclusive Romer-G mechanical switches are purpose-built for pro-grade performance, responsiveness and durability. With a short-throw actuation point of 1.5 mm, Romer-G switches register key presses up to 25 percent faster than standard mechanical switches, so you can get your shots off faster than your opponent. Romer-G switches are also purpose-designed for precise and clean lighting through the keycaps, so they are always visible but never distracting. A brushed 5052 aluminium-magnesium alloy top case serves as the keyboard’s backbone. The result is a minimal design balanced with a full set of features. With a focus on high-end finish and performance, the Logitech G413 is crafted from the highest-grade materials.